Every month, the Warrandyte Diary showcases the extraordinary talents and kind hearts of our community. We love highlighting the in- credible work of locals and how their efforts are benefitting everyone. Here we talk with two people not just doing their part for the community, but who are changing lives all around Australia and the world. Warrandyte may be better known for its artists, environment and cosmopolitan cafes, but now we’re known for being a home to leaders in scientific medical research and heart-warming charities. Meet Professor Doug Hilton and Dr Linda Worrall Carter, two Warrandytians making waves in the medical research community, with results having real-world impacts and which are changing lives. We hope you enjoy their stories and are encouraged to support their causes. PROFESSOR Doug Hilton has lived in Warrandyte for most of the past 47 years – growing up here himself and now raising his children in our village. In our community, he’s a familiar face and a well-known referee at junior basketball matches. Since 2009 he’s been the director and CEO of the Walter and Eliza Hall Institute of Medical Research, a 100-year-old organisation dedicated to innovative medical research, education and improving the lives of those struggling with illness or disease. The institute has made many important scientific breakthroughs in medical research in its 100-year history. Recently, a pharmaceutical the institute helped to develop was approved for use in the treatment of leukaemia and lymphoma in America. 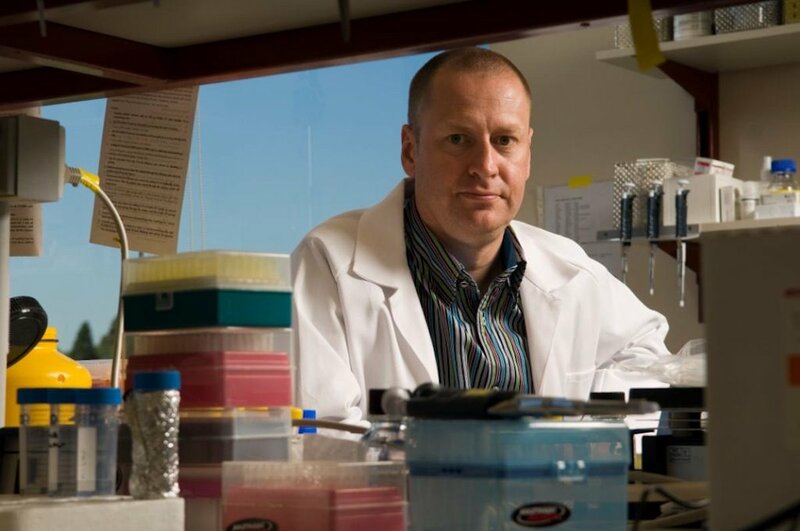 Doug’s own research into blood cells and blood cancers is always making developments – an interesting area of research that he’s clearly passionate about. The Walter and Eliza Hall Institute is home to over 1000 staff and students, researches over 40 different diseases and conducts 100 clinical trials every year. They provide education and training to hundreds of young graduates that come through their doors. And they change lives for the better pretty much daily. “It’s really exciting to be a part of that,” Doug says. But no institution can exist and flourish without the support of others, and Doug says there are three key ways the Warrandyte community in particular can assist the institute with its mission. “If they have an opportunity to talk to politicians, tell them that they value medical research generally. Lots of people in the community are really strong supporters of medical research. Talk about your support,” he said. Finally, Doug says the information and understanding is hugely important, too. Doug is thankful for the communities support and says it’s wonderful to live in a place with our environment and people. Dr Linda Worrall Carter heads up Her Heart, Australia’s only charity dedicated to women and heart disease. Her Heart is the only not-for-profit in Australia focused on education and awareness of heart disease, the biggest killer of women in our country. “I attend a lot of local events and activities to speak to women about heart disease. I must say the response is always the same ‘I didn’t know that heart disease is the biggest killer of women’. Each time I hear this, it makes me sad, but also more determined to make Her Heart a local, national and global success,” Linda says. In Australia, heart disease kills more women than all cancers combined. Global research shows us that 80% of heart disease is preventable and yet women are dying far too often in our country and all around the world. Women in the 25-40 age group are the largest growing demographic of people dying of heart disease – and Linda says her work aims to ensure women avoid becoming another statistic. Linda is passionate about awareness and education. After working as a nurse, and after many years nursing cardiac patients and teaching nursing, researching women’s heart disease piqued her interest. Fifteen years have since passed, and Linda has published over 100 research papers, presented at over 50 conferences and been a founding member of four different research centres. Now, Her Heart is putting Linda’s research at the forefront of the conversation around women’s health. The not-for-profit takes a personal approach to education, encouraging women to speak with one another and with their doctor about their thoughts and suspicions. “One of the issues we have is trying to encourage women to put themselves first, as they are often used to prioritising others above themselves. We often find women are very intuitive and have a sense that ‘something is not quite right’ – so they need to be encouraged to act on their instincts. Linda has been a part of the Warrandyte community for over 15 years, raising her two daughters here and getting involved in Warrandyte’s school and basketball communities. 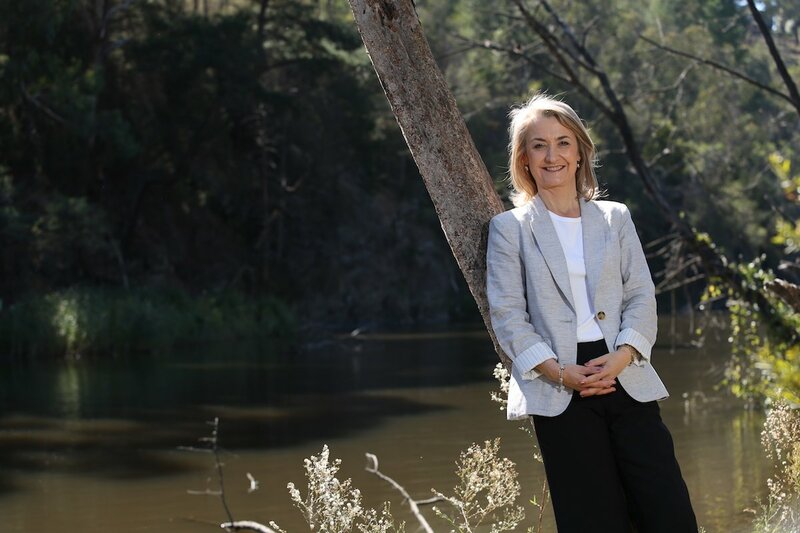 She says the Warrandyte community has helped her immensely in the launch of the charity and can continue to support Her Heart through social media, local fundraisers, donations and sponsorship. “As the founder of Her Heart, and a mum, a wife, and sister, I actively support women’s health and work hard to be a ‘Her Heart’ role model – so I walk the talk! Are you, or someone you know, our next leader in research? Tell us! Send an email to info@warrandytediary.com.au OR send us a Facebook message.